Last weekend, my friends from the port city of Manta visited this rural farming area of Jama for the first time. 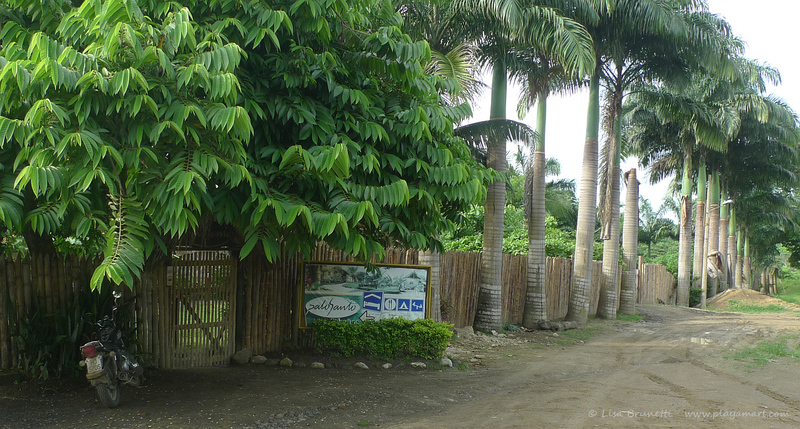 Taking a day off from responsibilities, I joined them at Hostal Palo Santo, where we rented three cabanas and enjoyed a leisurely visit in the serene garden setting. 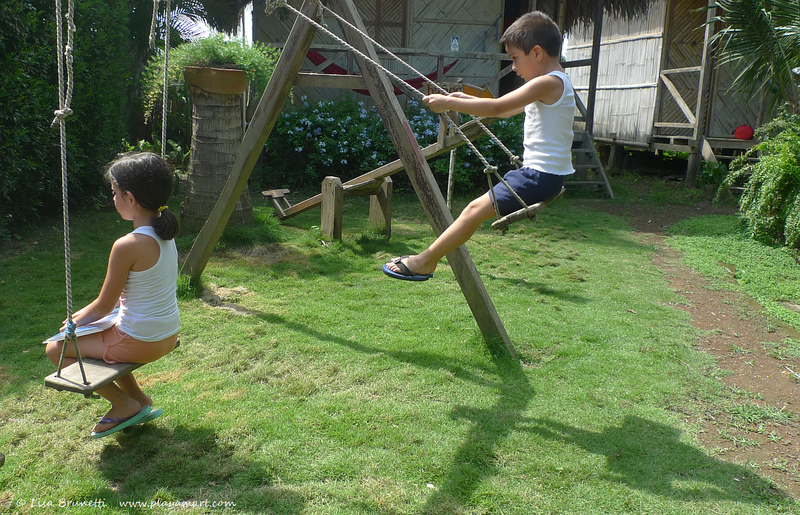 With wide-eyed wonder, young Nicolas and Natalia tested the see-saw, touched their toes to the sky from the swing set and befriended a young kitten/gatito. Natalia: Sugar and Spice and Everything Nice! Nicolas: Snips and Snails and Kitty Cat Tails!